So this is my first column in a while as I usually use the radio show to reveal any news that I have. Unfortunately this week both Dave originally and then myself on Thursday had to pull out due to personal reasons. I then couldn’t access twitter until late on Friday, when I logged on I was amazed to see the amount of ITKs that had emerged from out of the woodwork and the amount of rubbish they had produced. The problem is, as fans we really want good things to happen to the club and so when people say that it is, we go a bit crazy and rt it and get excited and this plays into their hands as it creates the attention that they wish. I hope this column puts a few things straight. This is as up to date info as I could make it given the circumstances and quite frankly not a lot has changed since I last updated on the radio show. I start by talking about the sad news of Lanzini’s injury that occurred in Friday training with the Argentina national squad. Lanzini was delighted to be there and buzzing for the World Cup and his injury left him and his team mates devastated. I have spoken to senior people in the club who have said it is one of the worst injuries that they have had since working in football. Now I believe it is hard for us to know for certain the true extent because he hasn’t been seen by our doctors but he is expected to be out for the whole of next season, which is a cruel cruel blow to us and him. Argentina may cover his initial few month’s wages but this is about it. Pellegrini was said to be delighted to be working with him again having been his manager at River Plate. So we signed Ryan Fredericks from Fulham a deal that has been pretty much on the cards since January (something you would have seen from my tweets) and this is largely down to his agent. His agent is Will Salthouse and he is one who we have very strong links with, although we will no longer be after Cairney of Fulham (another of his clients) due to their high transfer demands for their captain. He (Salthouse) is a friend of the Sullivan’s and has helped to broker many a deal whilst going with the sons to Ibiza and to many a London party. He is the man behind Arnautovic’s move to the club and I am not sure many people know this but Haksabanovic as well. As part of the deal for signing Arnie, Will ensured that we also signed Sead. Julian Dicks confessed in our radio interview with him in January that he and Bilic knew nothing of Sead or his transfer until he turned up at the training ground on a new approximately-£18k a week deal. Julian did say that he became a fan of him during his spell there but it does highlight the current agent power in the game. Fredericks has signed a new deal on approximately £40k a week with £10k a week appearance money and is expected to be the number 1 right back. There is talk that Zabaletta will be converted to a more central role under Pellegrini either in defence or as a defence midfielder and Rice may also be given a chance to show his worth there too. Speaking of Haksabanovic and his approximate £18k a week contract, along with Quina who is on approximately 12k-15 a week contract and Oxford at the well-publicised £20k a week you can see why the new contract offer of £8k to Declan Rice was considered insulting. Declan played 33 times for the senior side, was runner up in the Hammer of the Year awards and became a full Irish international this season. In comparison to the previously mentioned academy players he has already contributed far more so to offer him less than half what they are on does seem a ridiculous offer. The club are cautious that Oxford probably got his £20k a week too early and it has affected his desire and motivation. This however is not fair on Declan because he is a very different player and man to Reece Oxford. Declan remains very humble and down to earth and always has time for the fans. I was lucky enough to attend the end of season player awards and he was the only player who stayed out for a long time signing things for the fans and he does this at all the games too. Whilst the club are expected to come in with an approved offer: reports from some ITKs suggesting he has been offered £17k are not true. There has been no improved contract offer as yet. £30k a week with a 10k a week appearance bonus would be a more acceptable offer in my opinion and we should really do this soon. People say he should be happy to get any money because he should want to play for next to nothing but his is simply not realistic. This is Declan’s career and none of us would accept being paid less than 30 times some of our colleague’s wages when they were doing a far less job. We cannot afford to muck this up as there are already big clubs circulating and monitoring his contract situation. We clearly have space in the wage budget because with Ginge, Hart and Evra leaving that is almost 200k a week saved from wages alone. We are expected to sell further players soon. Reece Burke is attracting the interest of a number of clubs including: Rangers, Sheffield Wednesday, Blackburn, Swansea and Ipswich. Jordan Hugill is also likely to leave on loan with Sheffield Wednesday again interest plus a host of other Championship sides. Snodgrass will be given a look over by Pellegrini but Cardiff, Middlesbrough, Celtic and Fulham considering moves for him. Sam Byram will be allowed to leave and again there are a number of clubs interested and Reece Oxford could return to Germany. A number of youngsters could go too. Antonio is a strange once because Crystal Palace made an offer for him a few weeks ago but it was not worth entertaining. We will consider an offer if it is much higher and closer to our valuation. There are concerns around Antonio (which would be wrong for me to go into here) that make his sale more likely then it perhaps should be. Offers may be considered for Carroll, Cresswell and Reid although we are not actively looking to sell. Hernandez has yet to commit his future either way but Pellegrini wants him to stay. 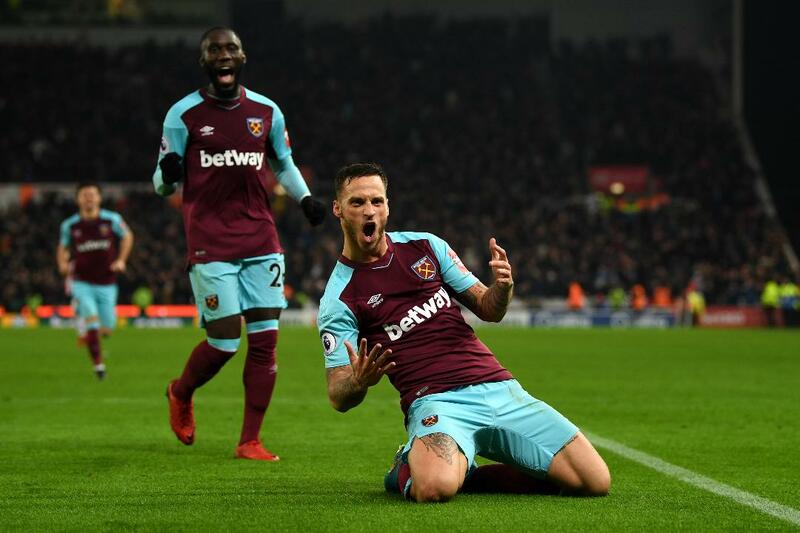 There has been a lot of speculation around Manchester United bidding for Arnautovic but as I have maintained there has been no bid lodged and no initial discussions either. Fears broke out when Jose was watching Austria v Russia but he was looking at another Austrian player and learning about the Russian players for his World Cup spot on Russian TV and not looking at Arnie, who only played a little bit anyway. We had discussions with Manchester United this week but they were not about his sale. Whilst the players were not specified to me I know we have an interest in their backup keeper Sam Johnstone (who is also on Will Salthouse’s books), Luke Shaw is likely to be available and there is talk that one of Martial or Rashford could be available on loan (although there will be loads of clubs in for then if this is true). So on to players we may be signing. Some of this has slowed down a little bit and I suspect that things will step up in the coming weeks because Pellegrini and his staff should be returning from holiday these weeks, including the new director of football and head of medical Richard Collinge (whose first job will be to get to the bottom of Lanzini’s injury). At the moment Sullivan is largely involved in the negotiations but when the new staff are back I expect us to move more concretely and with less of his involvement. So despite dismissing this a number of times, The Mail and a few other media outlets, decided to run our interest in Yaya Toure again. I have been told at least twice now that we have no interest due to his age and lack of pace, these being the main credentials that we are looking for and someone like Phil Foden would be more likely. Another free transfer that we have been linked with is Jack Wilshire. Now before Lanzini was injured I was told we have no interest due to Wilshire’s injury record and his high wage demands and I expect this remains the same. We may try to ask Wilshire to lower his wage demands because he apparently really wants to join us but as it stands we won’t sign him at his current wage demands. Now there is serious interest in Felipe Anderson of Lazio. Talk of the deal being very close again are extremely premature however. Whilst we do not believe wages should be an issue and these are pretty much agreed the transfer fees are a long way off and whilst they are apart at this moment we are keen to sign him and could up our bid, I hope we do not find ourselves in another Carvalho situation. Incidentally we are monitoring his situation and the keeper Patricio, who have tried to walk out of their current deals at Sporting as well as looking at Porto’s winger Yacine Brahimi. Javier Pastore is in an almost opposite situation to Anderson. A fee is said to be quite low as PSG look to clear some players off their books but his wage demands are huge and would smash our current highest earner Hernadez’. I do not think we can and should do this (and so do the club) because he hasn’t been at his peak for a few years and by doing that we could unsettle some of our current player’s and make them want more money and it could make potential other signings expect more too. Marlon Santos is a deal that was fairly close to completion. The Brazilian centre back from Barcelona is on reasonable wages and his fee is expected to be around £13m-£17m. The transfer was always going to take some time because he requires a work permit although the club suspect he will get one. The club haven’t fully decided whether they will push through this transfer but it is one to watch. Speaking of Centre Backs, Pellegrini has made it clear he wants at least one, possibly two centre backs. Those of you who follow the radio show will have heard me link these players all before but we are looking at some players at some of the relegated clubs and this includes centre backs. Shawcross of Stoke is one we have looked at and we like the fact he is English but also brave, die hard and a leader (in the mould of Collins some would say), we have also enquired about Butland and Shaqri-although Butland appears to have been priced out of a move and there are targets ahead of Shaqri. Swansea are another club: Mawson and Fabianski being the targets there. Again Mawson’s price tag is very high and the club are looking at other keeping options too but could move for Fabianski again as he is one of our top choices. WBA have Rondon, who Pellegrini worked with at Malaga and Craig Dawson although forward position isn’t top priority and Dawson isn’t one of our top centre back choices. Gibson of Middlesborough has also been looked at when were scouting Traore from them (although Everton seem most likely to get him). Keeper is definitely a positon we want to strengthen in too and Burnley have been spoken to. To be honest we would take either Pope or Heaton and it’s amazing to think a club like Burnley have such options. We spoke to them this week to find out what they would be willing to accept for either player. Adrian is said to be a bit unsettled again with talk of another keeper being signed but will again try and fight for his number 1 spot. Again, something I mentioned on the radio show was that we have been looking at the French league quite a lot and have up to six players that have been targeted there: these include Santos and Pastore. Diop of Toulouse is another centre back that has caught the eye, he has represented France at all levels except senior, is 6’4 pacey and is only 21 so fits a lot of what we are looking for. Jean Seri is a midfielder for Nice who has been scouted. Other possible targets include Thauvin of Marseille, who has a great record there but didn’t do so well at Newcastle. Allan Saint-Maxim of Nice has also been identified whilst watching Seri. Our former midfielder Mario could return too. We initially wanted to loan him again with an agreed permanent deal clause at the end of it which was cheaper than the £37m we had when he previously signed. The club have been told that Inter do not want to do this but will accept £25m for him and Pellegrini is yet to make his mind up whether he wants to do this. I feel he could be the perfect replacement for Lanzini and with a preseason behind him with us he could be even better than he was towards the end of last season. Speaking of preseason we should be going to Switzerland at the start of July for just under 2 weeks as well as a short spell in Liechtenstein. We are looking at another week elsewhere with Malaga being mentioned, mainly as it was Pellegrini’s former club. There will also be domestic fixtures at the usual Essex haunts although there is unlikely to be a home fixture this year due to the cost and the stadium having other commitments. I intend to provide regular updates on the radio show and please understand that transfers can change on an hourly basis. I expect when Pellegrini arrives they will narrow down his targets to 4-5 and try to push through some deals in the coming weeks although World Cup years always slow down the process. When the new season starts we should have a third kit launched by then too which is a grey/white colour and looks very smart. It is my favourite kit out of the three! Is Kouyate being regarded as a CB this season? He should be, never seen him have a bad game there. Would mean our defence doesn’t actually look too bad, but we would certainly need DM reforcements, with not many linked so far. What happens if Lanzini is still injured when his contract ends? Have we already seen the last of him I wonder. Over the years there have been a number of players from Australia playing in the premier league and we have a lot of up and coming young future superstars in my opinion on the rise eg:Daniel Arzani playing in the world cup age 19. Peter Skapetis 23 yrs (Brisbane roar) Joseph Champness (Newcastle Jets) Thomas Deng (Melbourne Victory) all currently in national u21 side and playing in the A-League. Check them out on u-tube, all capable of playing in premier league now given a chance. Ex awesome review thanks for the straight shooting and no speculations.